It's a tall order! It's up to me to make sure each student has learning opportunities tailored to meet his or her needs. Of course, I have wonderful paras who help me a ton; I would be lost without them. Shout out to all of the amazing paraprofessionals out there! You are an invaluable asset to our schools and our students. Even with 3 adults in the room, it can be a struggle to keep up with exactly where each student is at, especially since, at this age, it can all change so quickly! Over the past several years, I've developed some systems that have helped me tremendously. Click here to get this resource from my TPT store! 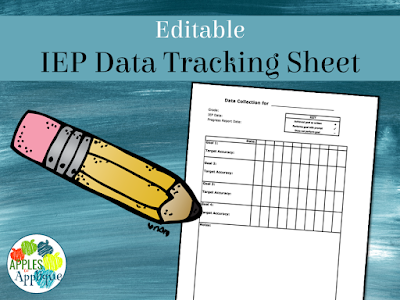 For my SPED kids, my Editable IEP Data Tracking Sheet has been a lifesaver! 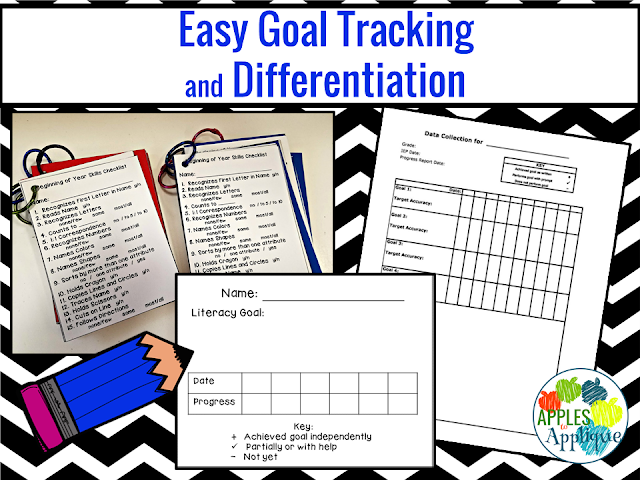 It's super easy to use; just type in each kiddo's goals and print. Put a plus sign if they meet the goal as written, a check mark if they can meet it with some help or prompting, or a minus sign if they aren't yet able to meet it. There is a spot for comments if you need to elaborate, but most of it can be done in a few minutes. At progress report time, just tally up the plus marks to get your percentage, and you're done! While these sheets are very helpful to keep in a binder and work well for me to use, sometimes I need my paras to collect data, or I need a fast and easy way to collect data on the go--maybe out at recess or during an assembly. For those situations, these Goal Data Collection Cards are perfect. Color coded for my AM and PM groups, as explained in this post. They are the same basic idea as the IEP Data Tracking Sheet, but in card form. Each card only has one goal on them. I can put all of my students' literacy goals on one binder ring and put it with the literacy station one of my paras is doing, or put all of my kids' social goals on another binder ring and take it out to recess. Easy peasy. The great thing about these particular cards is that I use them for more than just IEP goals. I use them for progress reports and goal setting for all of my students. Speaking of goal setting for all of my students, these skills checklists are super handy! I keep them on a binder ring for each table group. At the beginning of the year, I mark what each kiddo can do in 15 separate areas. This gives me a good baseline. As the year goes on, I add the goal cards mentioned above as needed for each kiddo. 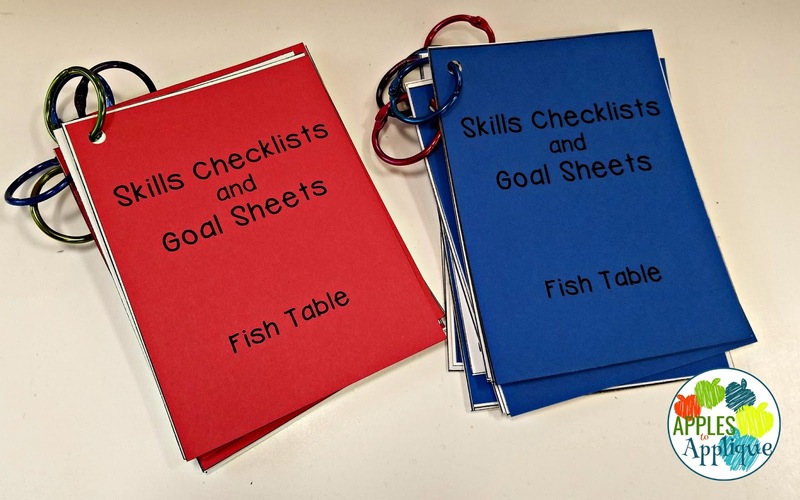 Then, as I plan small group instruction and work with each group, I just grab their checklists and can quickly and easily see how to differentiate for each kid. It takes a little time to set up, but implementation is truly simple, and I feel confident that I have a much better idea of where each of my students is at, so that I am better able to meet their needs. 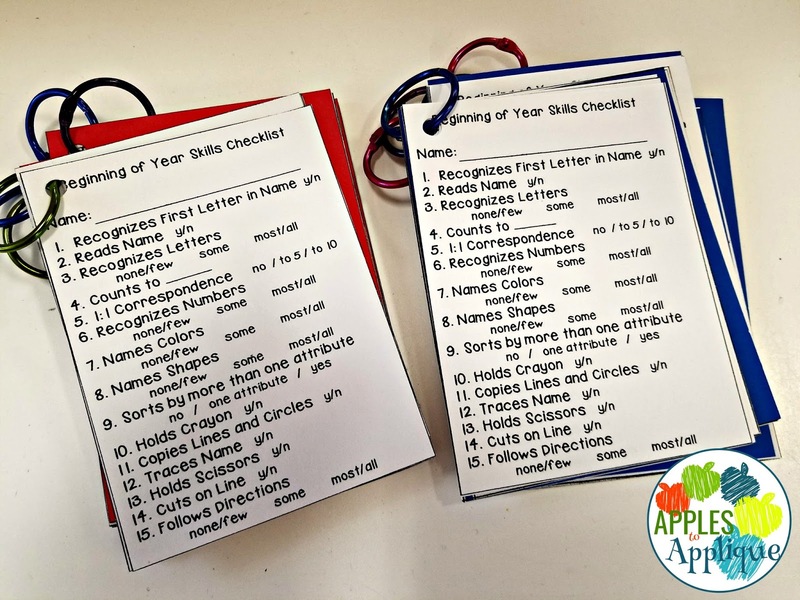 Any other tips on keeping goals and data organized for your students? Drop them in the comments!